Kamasu refers to a kind of fish with a long beak. So called because its shape resembles the head of the fish. This kissaki type having virtually no curvature in the fukura is a very early form. The line from the start of the kissaki to the top of it is almost straight. 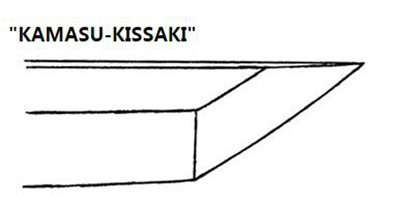 Such a kissaki is especially called "kamasu-" even if the kissaki is long or short. It looks very sharp. 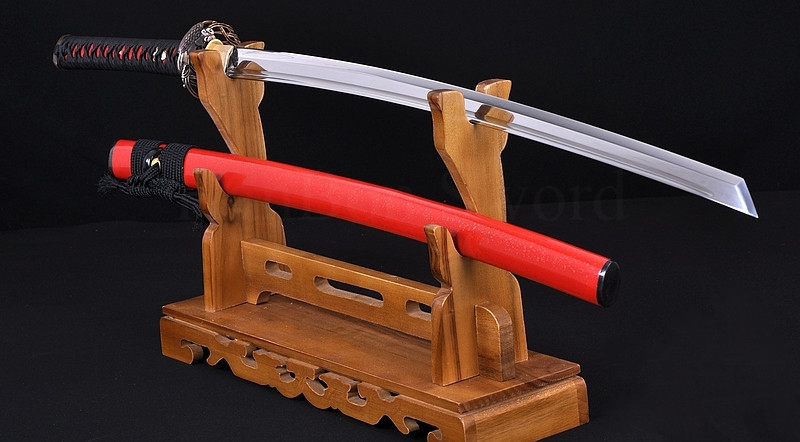 The tip is very sharp and delicate, so it is easy to be broken in a fight. The kissaki line easily becomes round by re-polishing after use.